The band along the upper edge allows making folds on curtains using curtain hooks RIKTIG. Curtains let the light in, but they muffle the direct sunlight and protect the room from prying eyes. Dense natural linen fabric has an expressive texture. 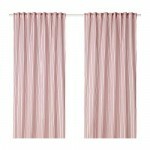 Curtains can be hung on the curtain rod or curtain rail. Curtains can be hung by passing the eaves through hidden loops, or with the help of rings and hooks. 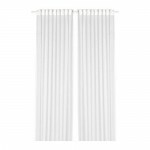 Curtains can be hung on the curtain rod or curtain rail. Curtains let the light in, but they muffle the direct sunlight and protect the room from prying eyes. Dense natural linen fabric has an expressive texture. The band along the upper edge allows making folds on curtains using curtain hooks RIKTIG. Curtains can be hung by passing the eaves through hidden loops, or with the help of rings and hooks. Dense natural linen fabric has an expressive texture. Curtains let the light in, but they muffle the direct sunlight and protect the room from prying eyes. 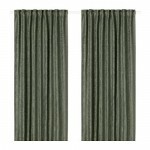 Curtains can be hung on the curtain rod or curtain rail. The band along the upper edge allows making folds on curtains using curtain hooks RIKTIG. Curtains can be hung by passing the eaves through hidden loops, or with the help of rings and hooks. Curtains let the light in, but they muffle the direct sunlight and protect the room from prying eyes. Dense natural linen fabric has an expressive texture. 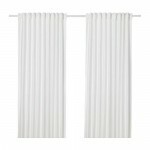 Curtains can be hung on the curtain rod or curtain rail. The band along the upper edge allows making folds on curtains using curtain hooks RIKTIG. Curtains can be hung by passing the eaves through hidden loops, or with the help of rings and hooks. These curtains let in daylight, but provide protection from prying eyes. 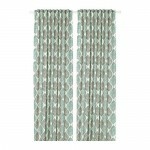 Suitable for use in multi-layered curtain combinations. 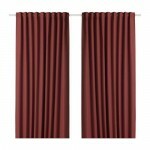 Thanks to the drawstring on the upper edge of the curtain, you can hang it directly on the curtain rod. Do not miss the winter draft and summer heat. Curtains block the light and completely darken the room. 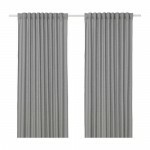 Curtains can be hung on the curtain rod or curtain rail. The band along the upper edge allows making folds on curtains using curtain hooks RIKTIG. Curtains can be hung by passing the eaves through hidden loops, or with the help of rings and hooks. The band along the upper edge allows making folds on curtains using curtain hooks RIKTIG. Curtains let in light, but they muffle direct sunlight and protect the room from prying eyes. 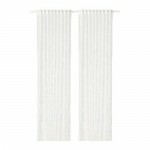 Curtains can be hung on the curtain rod or curtain rail. Curtains can be hung by passing the eaves through hidden loops, or with the help of rings and hooks. 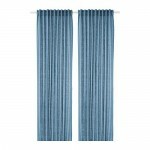 Curtains can be hung on the curtain rod or curtain rail. Curtains let the light in, but they muffle the direct sunlight and protect the room from prying eyes. The band along the upper edge allows making folds on curtains using curtain hooks RIKTIG. Curtains can be hung by passing the eaves through hidden loops, or with the help of rings and hooks. Do not miss the winter draft and summer heat. Curtains protect from prying eyes, but they let in daylight. On the braid along the upper edge of the curtains there are prepared hinges that allow hanging the curtains on the curtain rail. The band along the upper edge allows making folds on curtains using curtain hooks RIKTIG. Thin curtains let in daylight, but protect from prying eyes. The excellent decision for multilayered registration of windows. 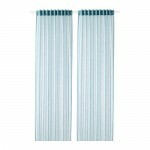 Curtains can be hung on the curtain rod or curtain rail. Curtains can be hung by passing the eaves through hidden loops, or with the help of rings and hooks. The use of natural ramie fiber as part of the fabric gives the curtains an expressive texture. Curtains let the light in, but they muffle the direct sunlight and protect the room from prying eyes. 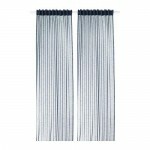 Curtains can be hung on the curtain rod or curtain rail. The band along the upper edge allows making folds on curtains using curtain hooks RIKTIG. Curtains can be hung by passing the eaves through hidden loops, or with the help of rings and hooks. Dense natural linen fabric has an expressive texture. Flax is a durable fabric that becomes softer after washing. Curtains let the light in, but they muffle the direct sunlight and protect the room from prying eyes. 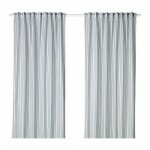 Thanks to the lining curtains better block the penetration of light into the room. 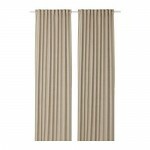 Curtains can be hung on the curtain rod or curtain rail. On the braid along the upper edge of the curtains there are prepared hinges that allow hanging the curtains on the curtain rail. Do not miss the winter draft and summer heat. 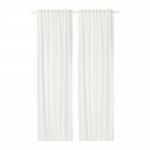 Curtains can be hung on the curtain rod or curtain rail. The band along the upper edge allows making folds on curtains using curtain hooks RIKTIG. The band is in the color of curtains, so the curtain looks neat and from the back side. Curtains can be hung by passing the eaves through hidden loops, or with the help of rings and hooks. Thin curtains let in daylight, but protect from prying eyes. The excellent decision for multilayered registration of windows. 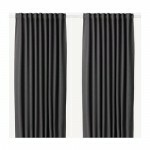 Curtains can be hung on the curtain rod or curtain rail. 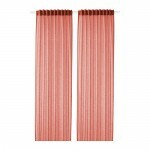 The band along the upper edge allows making folds on curtains using curtain hooks RIKTIG. Curtains can be hung by passing the eaves through hidden loops, or with the help of rings and hooks. Curtains can be hung by passing the eaves through hidden loops, or with the help of rings and hooks. Thin curtains let in daylight, but protect from prying eyes. The excellent decision for multilayered registration of windows. 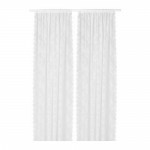 Curtains can be hung on the curtain rod or curtain rail. The band along the upper edge allows making folds on curtains using curtain hooks RIKTIG. Thin curtains let in daylight, but protect from prying eyes. The excellent decision for multilayered registration of windows. The band along the upper edge allows making folds on curtains using curtain hooks RIKTIG. 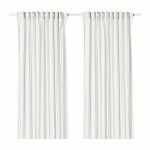 Curtains can be hung on the curtain rod or curtain rail. Curtains can be hung by passing the eaves through hidden loops, or with the help of rings and hooks.